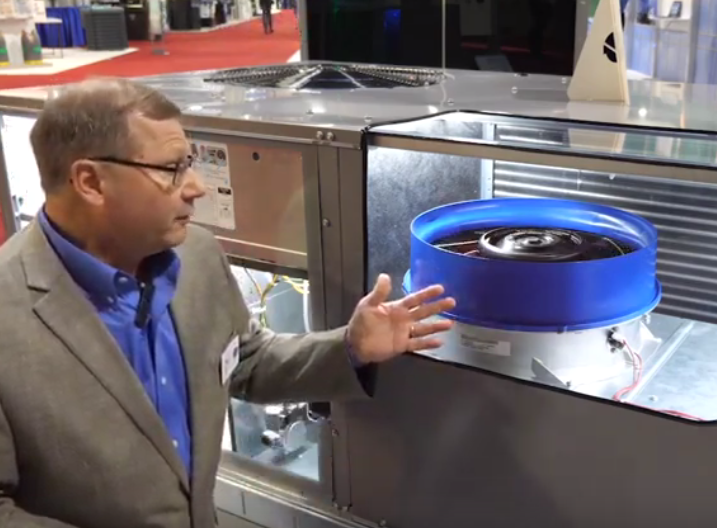 Get the details on Carrier’s revolutionary new AquaForce 30XV Air-Cooled Screw Chiller here. Carrier Hawaii announces new factory training for 2019. - For upcoming commercial AC trainings by Air Conditioning Training Specialists, click here. - For 2019 GSA HVAC sessions by Air Conditioning Training Specialists, click here. Carrier’s new EcoBlue(R) technology brings up to 60% more efficiency to rooftop units with 75% fewer parts. See video overview here. Building Management Hawaii Magazine features John Arizumi and Carrier Hawaii in the February issue in article discussing the latest advances in money-saving HVAC technology. 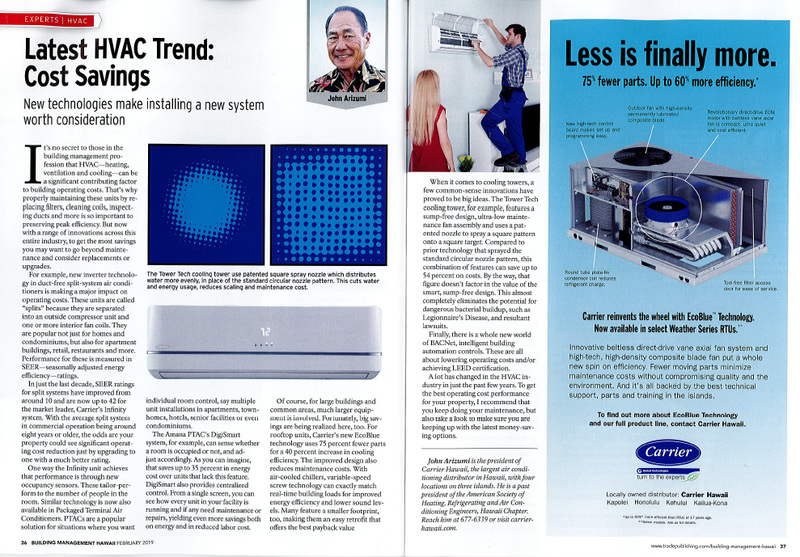 Building Management Hawaii Magazine features John Arizumi and Carrier Hawaii in a review of options to consider before upgrading your air conditioning system. See full article on page 36 of this link.